Abrams was born in a Jewish family in Long Branch, New Jersey. The son of a house painter and the first in his family to go to college, he entered Harvard University as an undergraduate in 1930. He went into English because, he says, "there weren't jobs in any other profession, so I thought I might as well enjoy starving, instead of starving while doing something I didn't enjoy." After earning his baccalaureate in 1934, Abrams won a Henry fellowship to the University of Cambridge, where his tutor was I.A. Richards. He returned to Harvard for graduate school in 1935 and received his Masters' degree in 1937 and his PhD in 1940. During World War II, he served at the Psycho-Acoustics Laboratory at Harvard. Abrams wrote his first book, The Milk of Paradise: The Effects of Opium Visions on the Works of De Quincey, Crabbe, Francis Thompson, and Coleridge (1934), while an undergraduate. With his second work, The Mirror and the Lamp: Romantic Theory and the Critical Tradition (1953), an expanded version of his Ph.D. dissertation, he joined the front rank of Romantic-literature scholars. 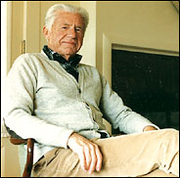 In 1945 Abrams became a professor at Cornell University. As of March 4th, 2008, he was Class of 1916 Professor of English Emeritus there. He is still publishing: in August 2012, Norton will bring out a new collection of his essays, The Fourth Dimension of a Poem. M. H. Abrams is currently considered a "single author." If one or more works are by a distinct, homonymous authors, go ahead and split the author. M. H. Abrams is composed of 36 names. You can examine and separate out names.